Dr Burcin Cakir is a Turkish post-doctoral student and an associate of Honest History who is working on Turkish materials relating to the Gallipoli campaign and its aftermath. 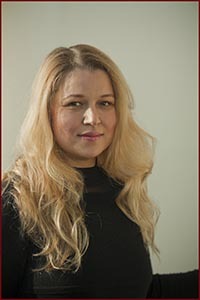 She has a book in the works on memory and commemoration of the Gallipoli campaign in Britain and Turkey and has a particular interest in how digitalisation can improve the reporting of events at Gallipoli. In a recent discussion at Trinity College, Dublin, Dr Cakir talked about the repositioning of Gallipoli in Turkish history. She noted the efforts of Turkish governments beginning in the 1930s to reclaim the memory of Gallipoli. ‘The battle at Gallipoli was an Ottoman victory’, she said, ‘it wasn’t a part of the Turkish independent movement, but it is manipulated in Turkish history and presented as a success of the Turkish independent movement’. Memories of Gallipoli have changed over the years ‘depending on the Turkish government, and on Turkish foreign and domestic politics’. The Gallipoli campaign ‘has been a commodity which is sold for political support and economic gain, economic profit and investment for future national identity’. Dr Cakir is currently based at Glasgow Caledonian University after doctoral studies in the United States and Turkey. From 2000 to 2004, she worked as an editor and press consultant for the Office of the Prime Minister, Directorate General of Press and Information, Ankara. Dr Cakir is now one of Honest History’s distinguished supporters.